The first time someone experiences your event is when they lay eyes on your event page. And whether you're a marketer, event planner, or designer, having a great event page all comes down to great design. In this new special creative edition of Run of Show, Pete from our Education team goes over seven design principles that will take your event pages to the next level -- and get people excited from the moment they submit their RSVP. It's one thing to create a beautiful, branded event page, or even a great first email. But once you have these initial design elements locked down, the next step is making sure that your branding stays consistent, and you reach your audience at every stage of your event. In part two of our special creative edition of Run of Show, Pete from our Education team goes over some of the touchpoints for engagement that event marketers tend to forget about -- everything from pre-event promotions to on-site activations and post-event follow ups. Love the animation in this video? Check out Ink Factory. Want to see more Run of Show videos? See our archives page here and subscribe to stay in the loop. Hey guys, I'm Pete Richardson, part of the Education team here at Splash, and I'm taking over this week's Run of Show. As an educator at Splash I've seen a ton of event pages. Some are really well designed, some... not so much. 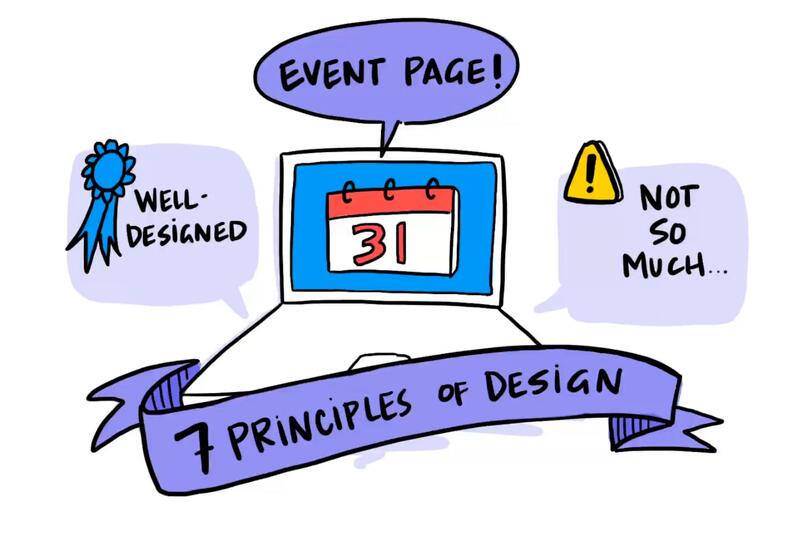 So for everybody in that second bucket, we've developed seven principles of design to help make your event pages stand out. Hey guys, I'm Pete Richardson -- part of the Education team at Splash -- and I'm back for another creative edition of Run of Show. Last time I talked a little bit about the actual event page creation process and the seven principles of design. 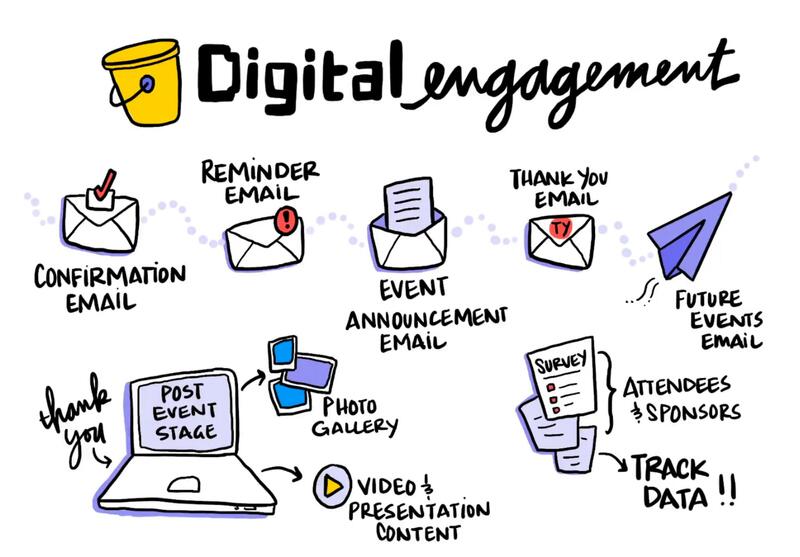 But when you're thinking about an event, there are so many other digital touchpoints that event marketers forget about. 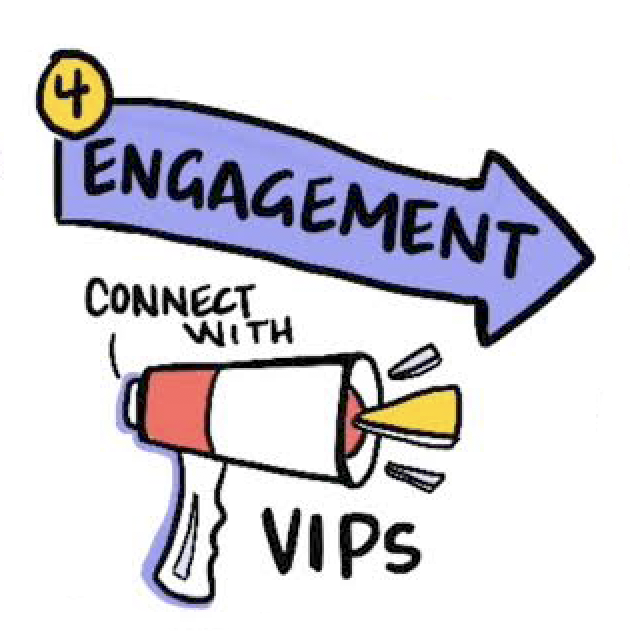 On average, we're talking about 25 or more touchpoints -- making it frustrating and even intimidating to think about all of the opportunities for engagement. 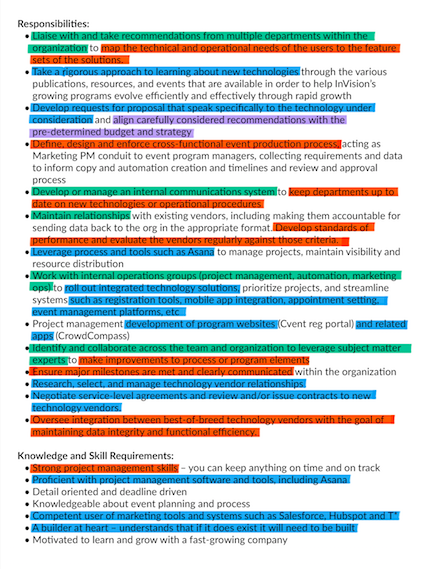 So today I'm going to go over some of these key touchpoints, and divide them up into three digestible buckets. So today I'm going to go over all of these touch points, and wrap them up into three digestible buckets. 1) Everything is crammed up top: You have your speakers, you have your registration form, you have your "About the event" section, maybe you're even trying to include a map -- all in one screen. 2) The infinite scroll: As you keep scrolling down the page, you see a long event page with seemingly never-ending information like the schedule, speakers, location, etc. 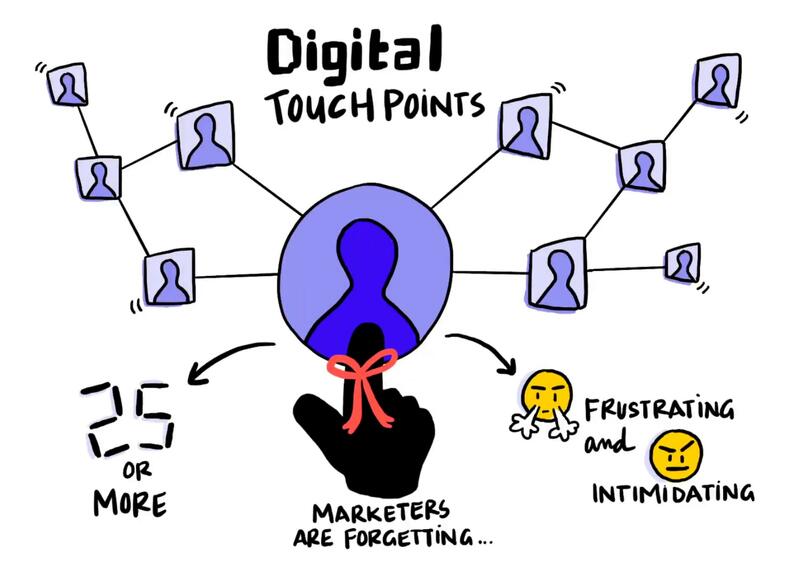 The first type of touchpoints is digital engagement. A lot of people can nail the first invitation email that gets people to the actual event page, but there are a lot of other emails that you might be forgetting about. One in particular is the confirmation email. This confirmation message gives you an opportunity to engage with your audience and let your brand voice shine. There's also the reminder email -- or maybe you send an email that gets people excited about a speaker who will be at your event. After the event there's the thank you email, where you can also include a link out to promote a future event. When it comes to other post-event touchpoints, you can convert your event page to a post-event stage. This page could include a beautiful thank you message, a photo gallery of snapshots from the event, and it's also an opportunity to showcase any recorded video or presentation content. One other form of digital engagement is surveys -- because we always want to know how our event is performing. By following up with attendees with an effective survey, you'll be able to track your data and make your next event even better. 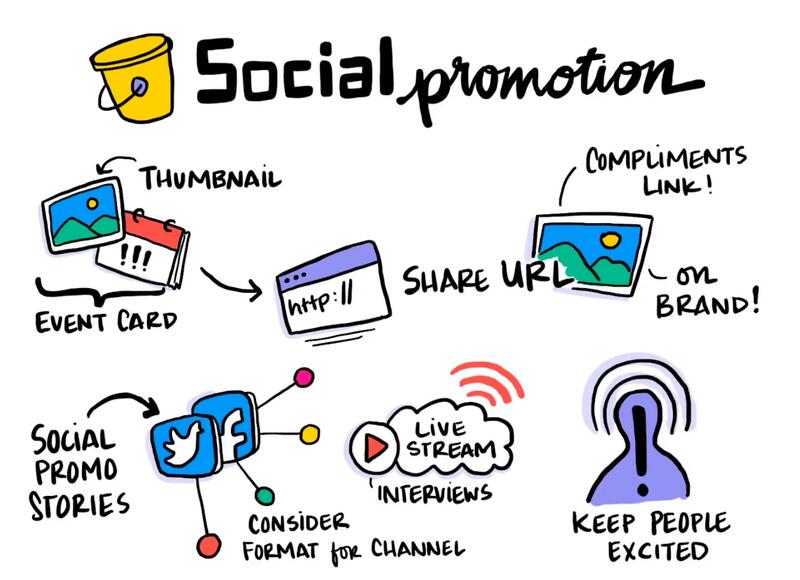 The second group of touchpoints that people tend to leave off the table is social promotions -- which has a couple different aspects to it. First and foremost, there's the thumbnail image for the event itself, which at Splash we call the event card. The event card populates when you share your event URL on social media or text it to a friend. This image is meant to complement the link itself, so you want to make sure that it's on-brand. But social promotion doesn't stop there. It could also include a 30-second promo on your Instagram story, or a Facebook post that links to an interview with a speaker that's going to be at the event. The most important thing to remember: when creating your social promos, it's best to consider which format is most effective for that specific channel. Let's say I'm an attendee at your event. The first thing I'm going to do is I'm gonna walk in that door and come to your check-in app. Ideally, that check-in app will be branded for the event and really easy to fill out. After you check in, usually you get printed a badge. 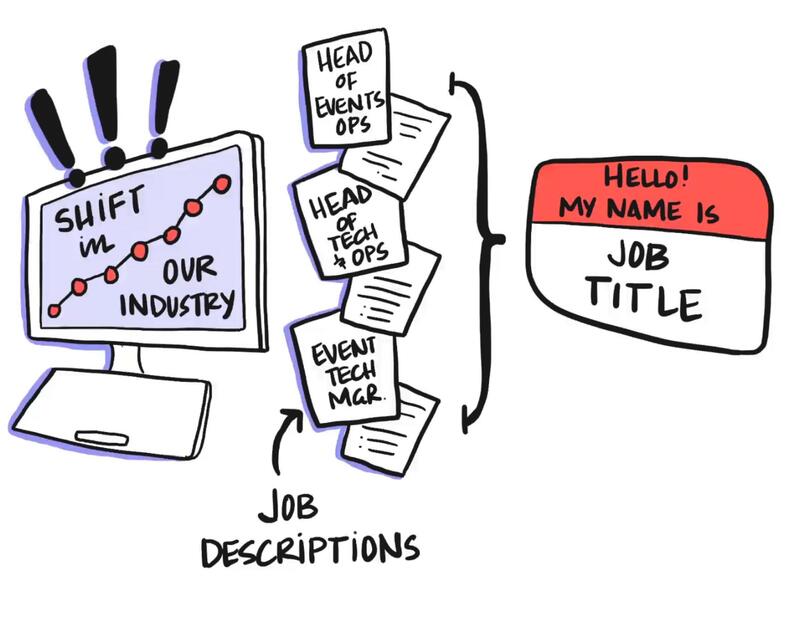 This badge doesn't have to be as simple as a "Hi, my name is whomever" -- you have an opportunity to brand this element to make the experience truly cohesive. As the event continues, you could also utilize a guest app, which would allow people to subscribe to certain sessions, chat with other attendees, or even give live feedback. And this means even more opportunity to brand that entire experience within the app. We went over a lot of touchpoints today, but there are a ton more out there that you should also consider. But don't stress - we've compiled an awesome checklist to help you get started that you can download below. Never miss an opportunity for engagement again. 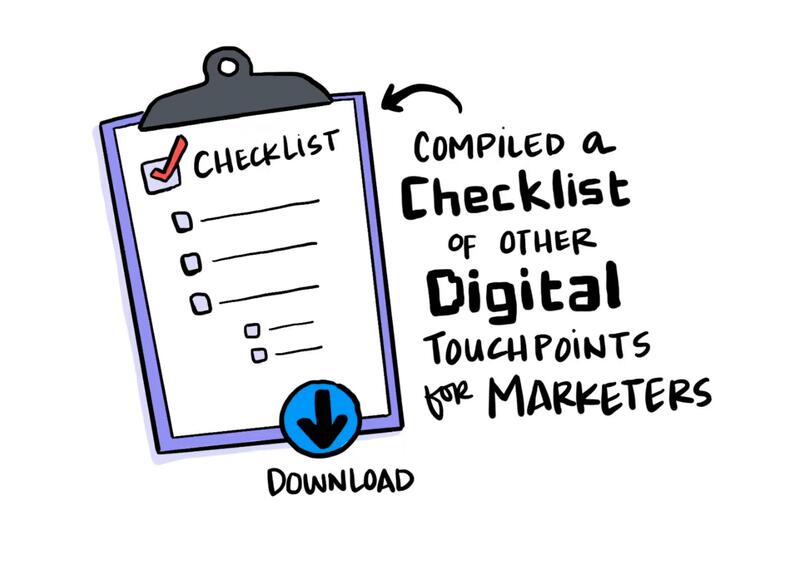 Download this Digital Touchpoints Checklist. Number three is the Holy Moly Trinity. At Splash this is how we describe the entire registration process, and it's pretty simple. 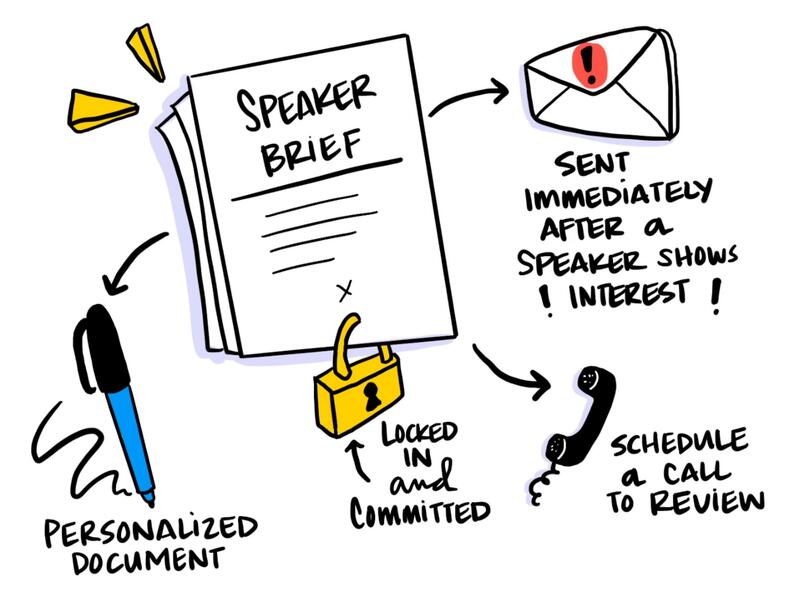 A speaker brief is a personalized document that you should send to someone immediately after they show interest in speaking at your event. The goal is to lock that speaker in, get them really excited, and then get them to commit. And right after you send them the speaker brief, try to get on the phone with them to review it together. But what makes a good speaker brief? We've put together 6 steps to follow to ensure your speaker brief is clear, robust, and -- most importantly -- effective. • Always consider what your event page will look like on a mobile device. • Swap back and forth between desktop mode, mobile mode, and tablet mode to make sure everything is seamless across devices. Even if you're not as blessed as a National Geographic or a Red Bull that already has beautiful imagery, don't fret because there's plenty of royalty-free stock photography websites out there that you can download from. 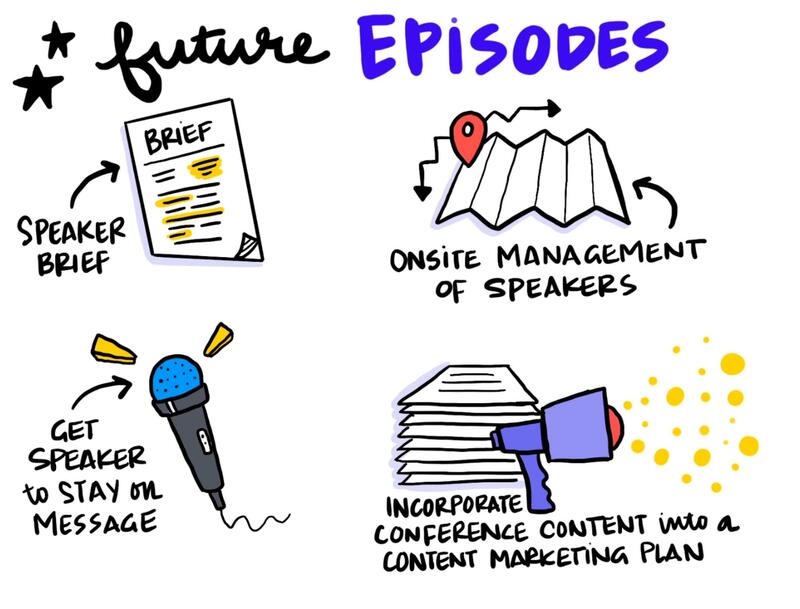 The first step in creating a speaker brief is to convey that the event is actually happening. If it's clear to a potential speaker that this thing is a go, they'll be more likely to take your event seriously and commit to it. This principle reminds me of a great quote, and it goes, "Perfection is achieved not when there's nothing left to add, but when there's nothing left to take away." • Don't overcomplicate your page with 10 different fonts or 30 different colors. • Avoid having things left-aligned and then right-aligned, causing the user's eye to start wandering around the page. • Get to the point -- think about your event and what you need to convey, and then execute your strategy in the most simple way. Number one: set a program theme. Number two: set the topics that are gonna ladder up to that theme. So, what will the speakers be addressing that will be associated with that theme? And, number three -- and this is gonna take the majority of the meeting -- try to mock an agenda, and I mean get really specific here. Go minute by minute of what that day is gonna feel like, and put it up on paper. Try to include all of the lunch breaks, the bathroom breaks. What is the attendee gonna experience as they take in all of this content? So, this is a big deal for a lot of reasons. It means that events are no longer being seen as the stepchild of marketing, but instead, are being placed at the center of the marketing stack. People are understanding how effective, how efficient events are. They're also understanding that the people who host these events need to be rock stars. They need to be able to go cross-department, they need to be able to be mathematicians, and have huge EQs that will command the attention of our most important clients. It's been overstated to know your audience. But I want you guys to take it a step further and speak to your audience. • Make your RSVP button text engaging -- something like "Let's party!" • Create a brilliant confirmation message that really gets people excited to register for your event. • Brand your confirmation email with a fun and engaging animated GIF. The next important step is to show your speakers the value in participating in this event. Your job here is to show them the differentiation -- aka how this event is different from any other event -- as well as the value the event will provide them. • People: Who are the other people involved? This includes current speakers (those who have already confirmed), past speakers, and the audience. • Purpose: What is the purpose or mission of this event? What does the event's theme look like?  • Prestige: Has the event been covered by the press? How many people have attended in the past? How many people have shown interest already? Highlight any positive stats or details that really talk up your event. • Perks: Are you paying them? Are you covering their travel? Will there be really great snacks in the green room? Do they get a gift bag? Perks are a great way to show differentiation. That's what's really gonna turn the switch for you guys. Give some thought to how you want to connect your brand's voice with your audience -- all through the event page's messaging. So, the first are "Dream Speakers." These are people that if you could get them to speak, oh, man, you would do anything to put them on stage. This could be anyone from Michael Jordan to Oprah. Like, really throw some dream speakers out there. You'd be surprised, if you ask nice enough, you might be able to get them. You also want your speaker to know that the audience they'll be speaking to understands them and is going value what they have to say. The best way to do this is to walk through the demographics and psychographics of your audience. First, explain the demographics. First and foremost, show them that you understand how many people are going be there, and who they are. Are they B2B? Are they B2C? 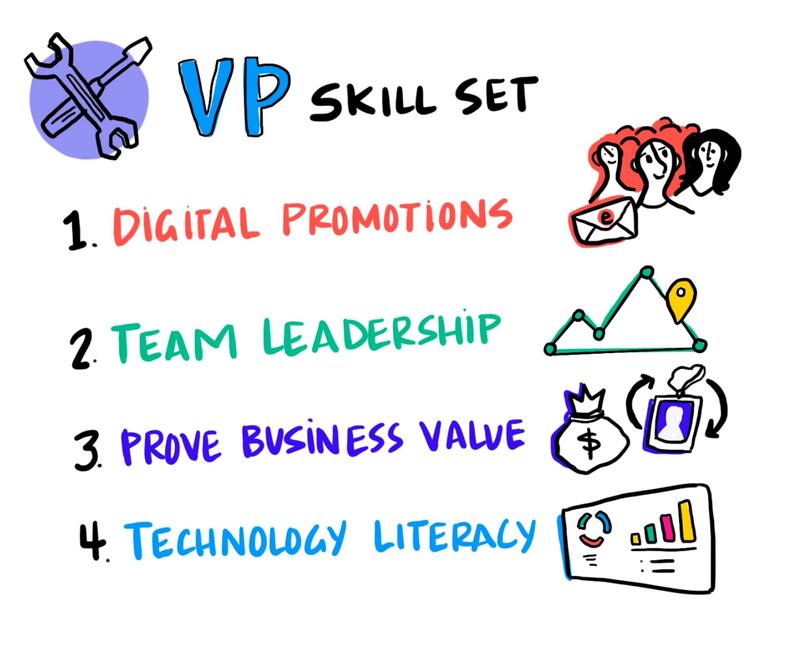 What level -- meaning, are they a CMO? Are they a director? Are they a VP? Where are these people coming in from? What industry are they coming from? Are they representing enterprises or small businesses? And the last is gonna be "Don't." You know, I've had a lot of ideas for speakers and I definitely pitched my friend a lot of ideas for speakers, and it turns out that that person just spoke at too many conferences, or they were associated with a competitor, or they had a bad reputation. You do wanna identify them, and put them up there in the "Don't" section. More often than not, your speaker will say yes when you ask this first time. But the next thing you need to do is the Double Confirm, which means telling your speaker that you're going to confirm them for your event -- and even mentioning a certain time slot. You want to hear them say, "Okay, that sounds good." And if they don't, be sure to take a step back and ask them to let you know when they can confirm. Once they say that they're in, you should run through a list of what they're committing to, right there on the phone. Now, as we built out this list, we realized that there was a fifth "D" that was super-duper important, and that was a "D" for "Diversity." You know, too many conferences have panels of five people who look a lot like me. As you build out your panels, I hope you'll think about finding people from different backgrounds, different ethnicities, different genders, and put them on stage. I think you'll find that your audience will really connect with the content more and it'll feel like a better event. Then, that should be the end of the call. This is the perfect time to thank them again and let them know how excited you are. Right after the call -- and I mean the second you hang up that phone -- email them with the speaker brief attached for one final confirmation. 3. Show and Tell: Why Should Speakers Participate? And then, that should be the end of the call. You should say, "Thank you so much. We are so excited." And right after the call, and I'm saying the second you hang up that phone, you want to send them an e-mail, with the speaker brief reattached, saying, "Great! Thank you so much. Glad we could confirm you." Now that you know everything there is to know about creating a great speaker brief, I want to go over three things you can do before your event that will help lock your speaker in. So, the four things that we found really resonated with people started with "Ps." 1. People. We found that if we were able to say how many attendees there are, who those attendees were, who the other speakers are, people got other people excited. So, "People," is the first "P" that you can promote. 3. Purpose. What is your event all about? Why are you even hosting this event in the first place? Is there a charity component to it? Are you speaking about the future of something? If you can convey that purpose to your speaker, they're highly likely to join if that purpose is aligned with their purpose, their passions. 4. Perks. This could be things like pay, to covering their travel, to "You're gonna get an opportunity to meet this person." If you can convey the perks that they'll enjoy and you can show it to them fast, it's likely that you're gonna at least get their attention. But getting their attention is really just the first step. Want to see more Run of Show videos? Find all of the videos here and subscribe to stay in the loop! Want to get started on your speaker brief? Download this Speaker Brief Template. Craving more event content? If so, subscribe below and you can check out more episodes of "Run of Show." 4. The Super Power of Speed: "The Flash"
And that would mean that your sales cycle is shorter as a result of your events, so if there are fewer days that a seller is selling to a prospect whenever they go to one of your events. That's a really important one and we call that acceleration. So funnel acceleration would be the effect of that super power. Now, this next one would be my choice for most powerful superpower. And unfortunately, I don't have a great metric for how to measure this. But like Professor X, if your event is able to find great attendees and connect them, and build a community, your event's superpower might be community-building. There are some really high-ROI superpowers in here, a lot to focus on. Now, I just want to recap why this is important. Now, as we said at the top of the show, a superpower and understanding that super power is our greatest weapon in the fight for what is right. And, you know, as marketers, we're kind of almost like venture capitalists in that we have a certain amount of capital and we have to deploy it only on things that drive the right results. Now, every event does something different. So when you start to understand that superpower, you start to be able to compare that event to other marketing channels and say, "Hey, we should throw this event instead of doing, let's say, a content activity or a demand gen activity." But you're also able to compare that event to other event types. So you'll be able to say, "Hey, we should spend money on a VIP dinner instead of on, say, a trade show booth." Once you figure out what your event's superpower is, your next step is to do two very important things: it's to double down and do more of it. And maybe the most important piece here is to communicate it, to rally your team around that super power, to set expectations and to beat those expectations, but to do so deliberately. Because as marketers, it's our job, maybe more than any other job, to communicate. Okay. I hope that was useful in thinking about how to look at your event programs. If you have any questions, please leave me a comment. I know there's a lot in there. But, and I have to say this, Mike... I know you told me not to, but here we go: with great power comes great responsibility. Yes. Got it in. Okay. Thanks for checking in. Have a great rest of the week, and I'll see you next time. Craving more event content? If so, subscribe below and you can check out more episodes of Run of Show Weekly. Ready to take your event pages up a notch? Check out some of our favorite design tips and tricks. I've developed a three-step process to use reciprocity to drive the RSVP to attendance ratio. The three steps are: (1) get that attendee to invest, (2) confirm that they've made a good decision, and (3) lock it in. Note: If you're interested and you're gonna be pitching for partnerships soon, I included some of my best templates as a downloadable in the article with this video. So feel free to go download that and use my one-sheet template. 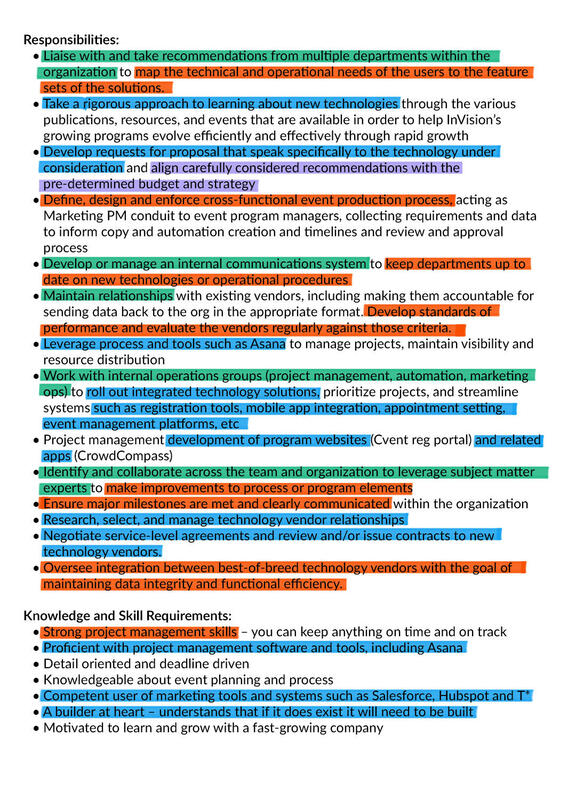 But this is the general outline of what I think makes the best one-sheets. The point of a one-sheet is to communicate visually how legit and real your event is. So in some of the following episodes, we're going to talk about not just why surprises are so powerful, we're going to talk about how we can set, meet, and then beat expectations with every single action that we do. We're going to talk about how we're going to use surprise before, during, and after the event. 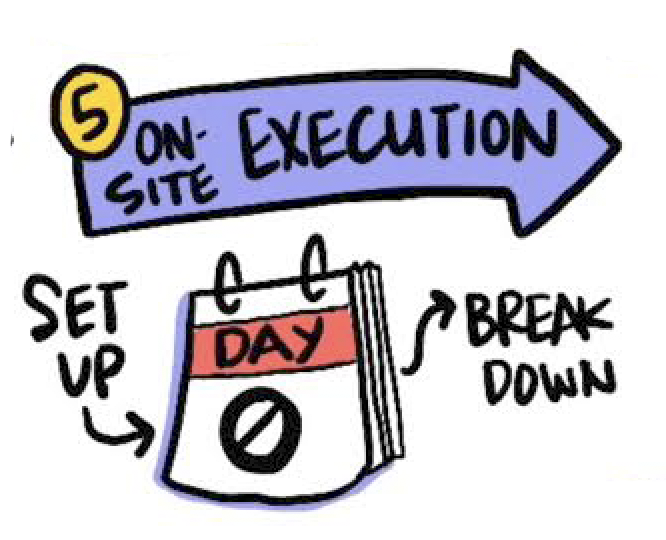 I believe that after a couple more conversations about this, you're going to buy-in like I have to the power of surprise and you're going to recommit like I have to "surprise." We know when to send it now, but now let's talk about where you're actually promoting to. You know, it really is important to take advantage of Google Analytics and look in your analytics tab and understand where your traffic is coming from. What we have found is that, finally, mobile traffic, when it comes to ticket purchases, has crossed over 50%. Now it's 56% of your attendees purchasing on mobile. What that says to me is: you better be optimizing your mobile experience. Make sure it's seamless, make sure it's easy to buy. Last but not least, we found across all of these events that we're analyzing, there was one common denominator for the events that actually sold out. 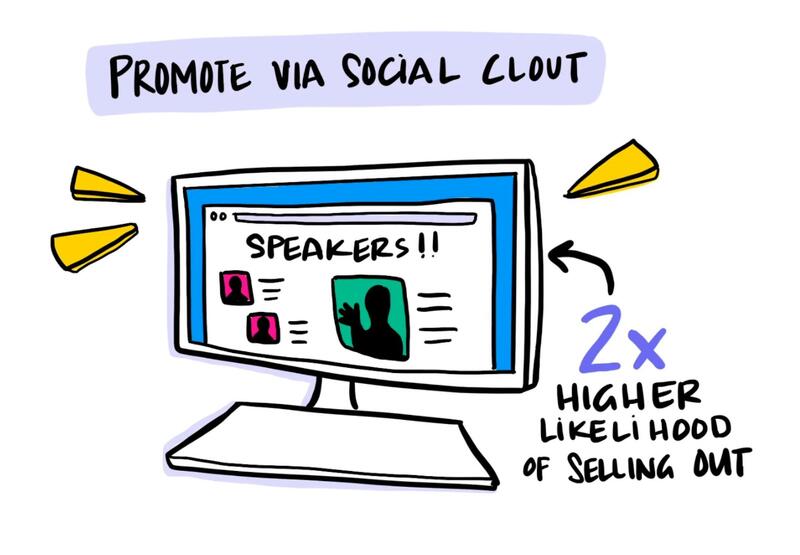 The events that put the attendees on the page and put the speaker pictures on the page, really promoting via social clout, had a nearly two-times higher likelihood of selling out their events than those that did not show the attendees or the speakers that were at the event. Social clout is a really powerful mechanism, and I would urge you to take advantage of it. You need a market through your attendees and market through your vendors, market through your speakers, market through your sponsors. It's really the best way to sell out your event. I hope you find that useful. We've got some genius data scientists in the back running regression analyses. (1) Percentage of attendees-to-opportunities: Assume it is going to increase if you comp tickets. What I mean to say is, do you think you can fill the room with a better attendee list that are more likely to turn into actual revenue? If you think so, make an assumption. In this last formula, the scenario you saw, we assumed that it would jump from 10% to 25%. I'll leave it to you to determine what percentage you think you can drive it to, if you had higher quality attendees. (2) What is your ACV? In our scenario, we talked about a 25K ACV, that's great. That's a nice ACV. Candidly, if you've got that average contract value, you have to comp tickets. It’s a no brainer. 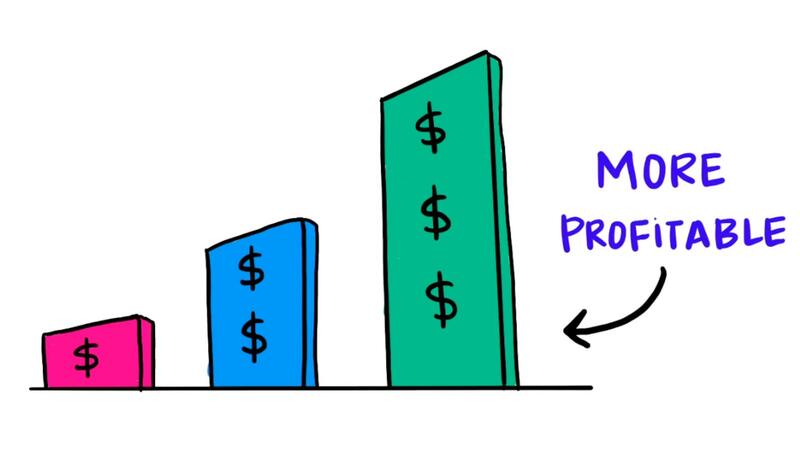 If you've got $100,000 as an average contract value, it is really a no brainer. But what we have found is that, if your average contract value is about $15,000, it might not make sense. You really wanna be above $15,000 for comp tickets to make sense for you. 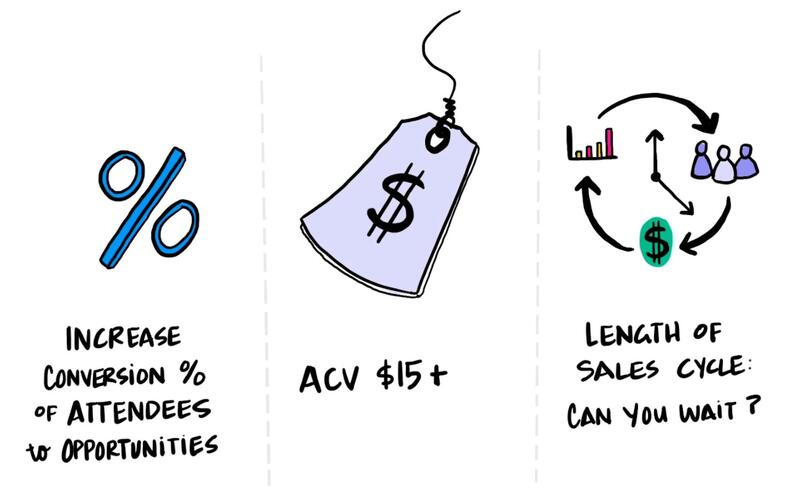 (3) What is your Sales Cycle? Ask yourself, are you willing to wait for a good amount of time to actually see that revenue recognized? We've been looking at our data, and especially for some of these larger user conferences, you can see a sale cycle be about a year. That means that, from the time that person became an opportunity to the day that that dollar is deposited in your bank account, it could be a full year, if not more. So you just have to ask yourself, are you willing to wait that long, as opposed to getting the little dollars in now, with the ticket revenue? Can you wait for a much larger contract in a year or more? 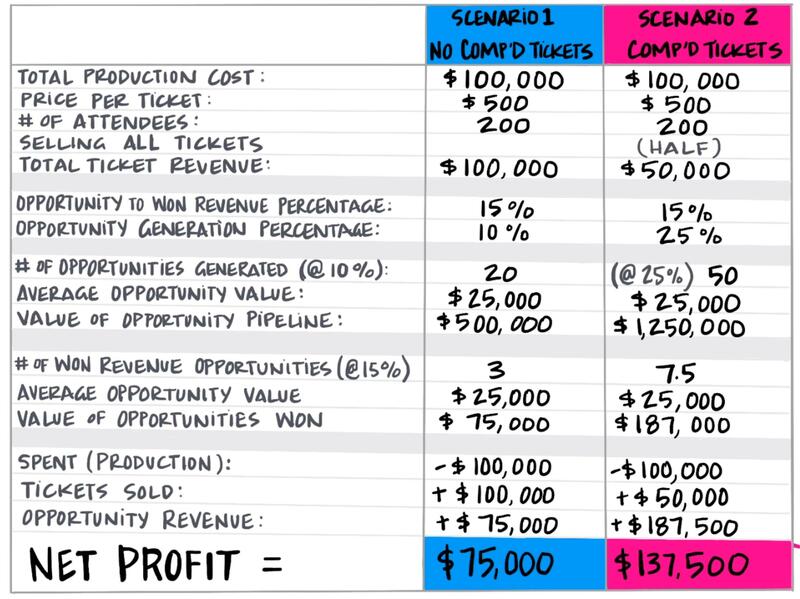 Want to figure out how many comp tickets make sense for your strategy? We got an easy formula for you to use. 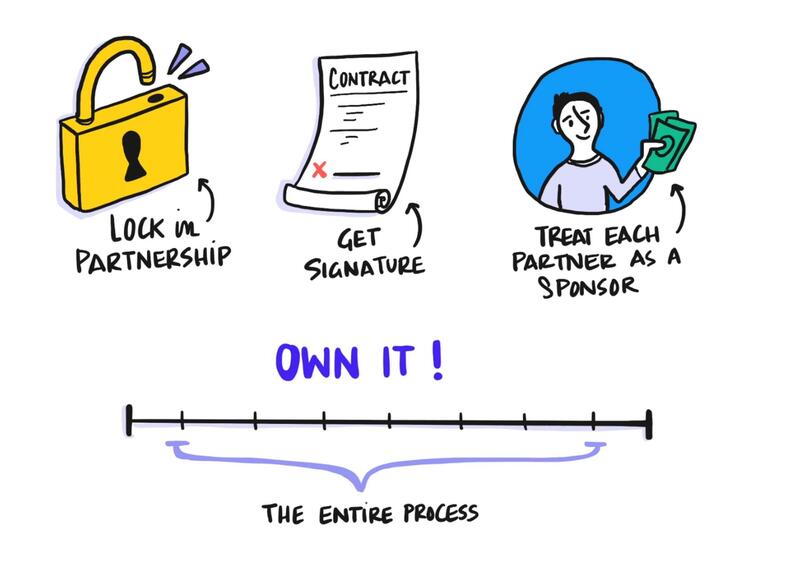 Download the Partnership Agreement Template. 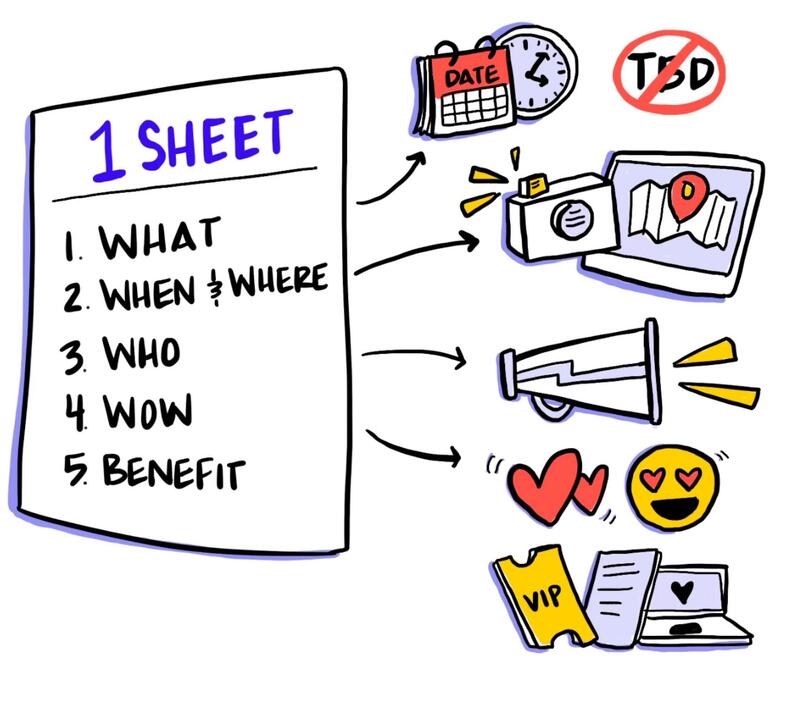 Download the Partner Pitch One Sheet Templates. 3. Show that people are attending your events. Last but not least, people get people. If you can show that people are attending your event, and they're telling other people, you can display that. That's the type of stuff that actually drives attendance. So, you're gonna want to show and get RSVPs early and often as you can. Then get those people to commit and tell their friends about it. We found that that is the number one way to drive RSVPs. You want to use reciprocity to drive attendance, and a way to do so is to get the attendee to invest. You wanna confirm that they made a good decision with that three-step process, and, last but not least, you want to lock it in with a specific, personal confirmation that they are gonna meet someone on site. Best of luck with your events. Urgency is one of the most powerful techniques that I've seen in terms of driving ticket sales. 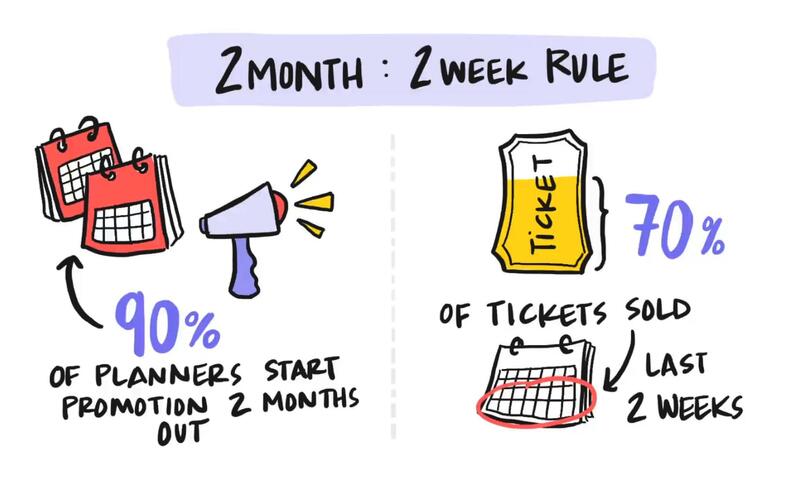 You can use urgency in things like "Early bird sales end soon," or you can say something like, "We're almost full," or "This is going to be a really important event for you to attend." Drive that point home with frequency and urgency, and make sure, in all your communications, to go through that checklist, G-I-V-E.
After you've outlined every single step in the process, your next step is to figure out who the major players are. This might be someone who's actually at your organization, or an agency, or even a freelancer. You're trying to figure out who's involved. I find that a really great framework for figuring this out and defining it in a very visible and transparent way is something called the RACI model. It's a great model that I see some of the top event planners that we work with use. RACI stands for responsible, accountable, consulted and informed. ❤️ Special thanks to our Tech lead, Guillermo de la Puente, for his hard work on this project. Pete Richardson is the Senior Client Education Manager at Splash. 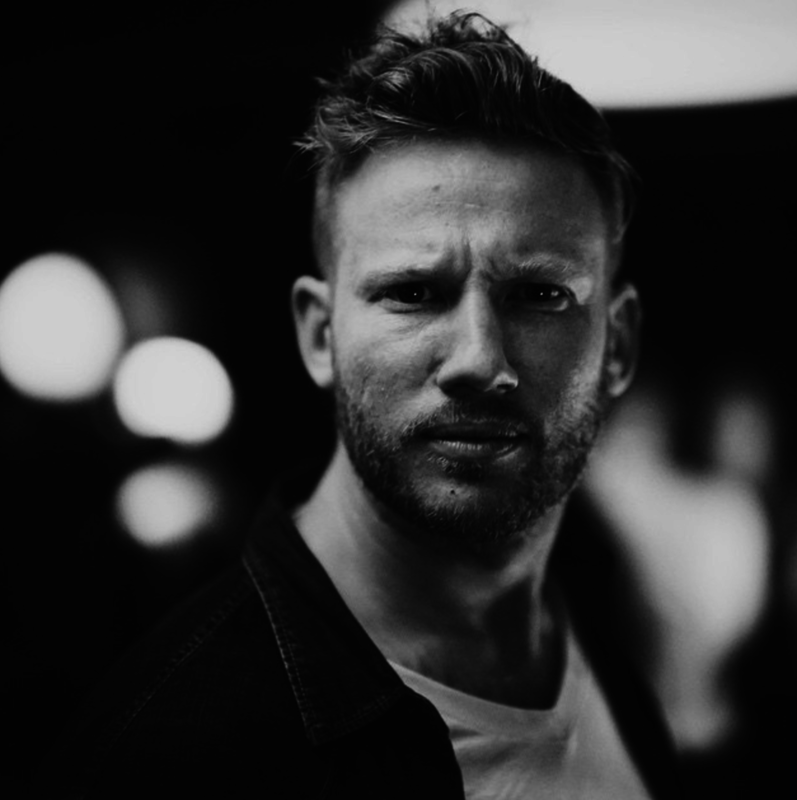 As Senior Client Education Manager, Pete is responsible for assisting designers to create visually stunning and thoughtfully constructed event pages. He previously spent two years on the product team, assisting with the overall UX and UI of the totality of the tool. Prior to Splash, Pete worked as a senior designer and art director for brands including IBM, Viacom, Red Bull, and Activision. Want to create event pages that'll make people excited to RSVP? 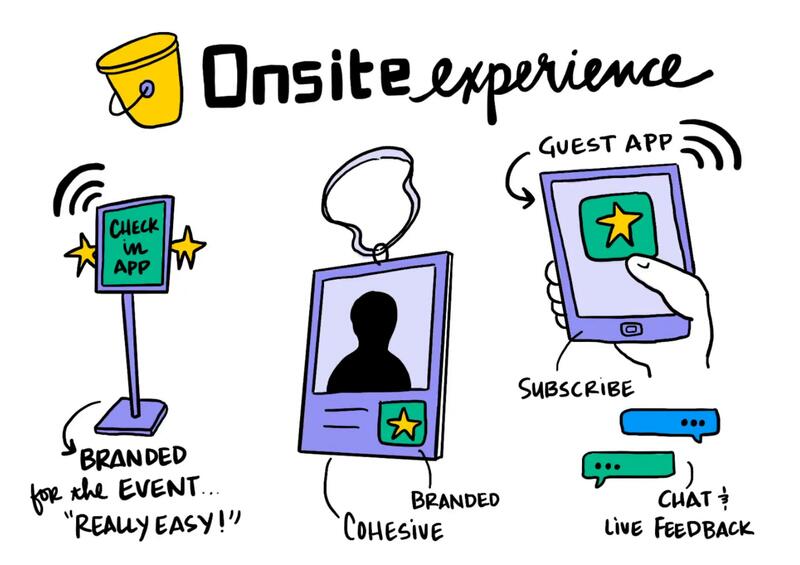 Want to drive better in-person and digital engagement for all your events? Sales + Marketing = Relationship Goals. Meet them with Splash.